Headphones are great for long trips, especially on family trips where everyone has their own device and wants to listen to their own music or videos. What’s not great is the fact that many of our current devices can output volume levels that can be quite dangerous to young children’s ears if raised to high. Anything over 85 decibels can cause hearing loss and that’s not something you want your kids to have at such a young age. That’s why for young kids, I recommend headphones specifically designed for children, such as iClever’s new BoostCare Kids Headphones that not only limit volume to 85 decibels, but also feature fun designs. For this review, the folks at iClever were kind enough to send me all three styles of the BoostCare Kids Headphones. 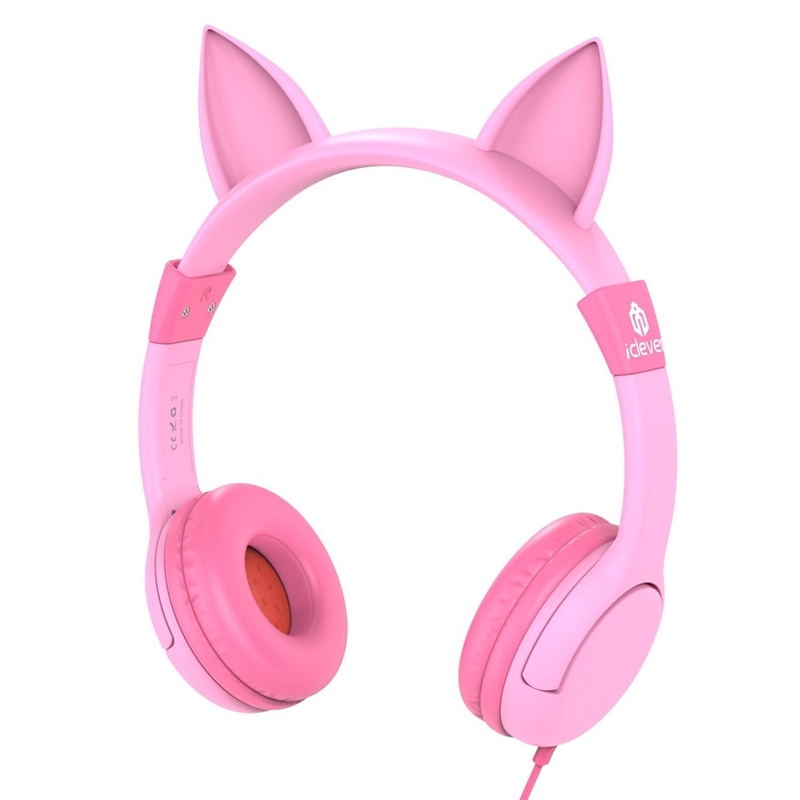 iClever created these BoostCare Kids Headphones to be safe for children, but instead of just creating plain old children sized headphones, they also created headphones that look fun. There are three designs you can get. There’s the Pink Cat style, Black Bat (Halloween), and the Red Reindeer (Christmas). The Pink Cat ones are probably the most plain but also the only ones that aren’t holiday related. The Black Bat one is technically for Halloween, but I don’t see why you couldn’t wear these year-round because they’re just bats and bats are cool. The Red Reindeer one however is very Christmasy so that’s probably not something your kids will want to wear once Christmas is over. The Halloween one and Christmas one are pretty slick looking though and feature a rather nice looking printed designs on the sides along with their 3D “ears”. All headphones feature a soft, rubberized coating and lots of padding around the earcups to keep things comfortable. These are considered over the ear designs so the padding will go around the ears instead of sitting on top of them. This should help with comfort. Testing these out with both my children, a 5 year old and a 10 year old, both said the headphones were very comfortable and we were able to size them to their heads with no trouble. There are no inline volume controls with these headphones however which is probably the only con I see with these so far. The iClever BoostCare Kids Headphones actually sound pretty good considering what they are. I didn’t expect these to be audiophile quality headphones but for kids headphones, they work surprisingly well. Audio is nice and clear even at the highest volume. Speaking of which, they don’t get too loud thanks to the volume limiting tech but they are still loud enough where they can hear everything and won’t asking if it’s possible to make them louder. My kids said they sound terrific and had no trouble at all with them. What’s good is that the lower volume also allows them to hear me when I’m trying to get their attention. 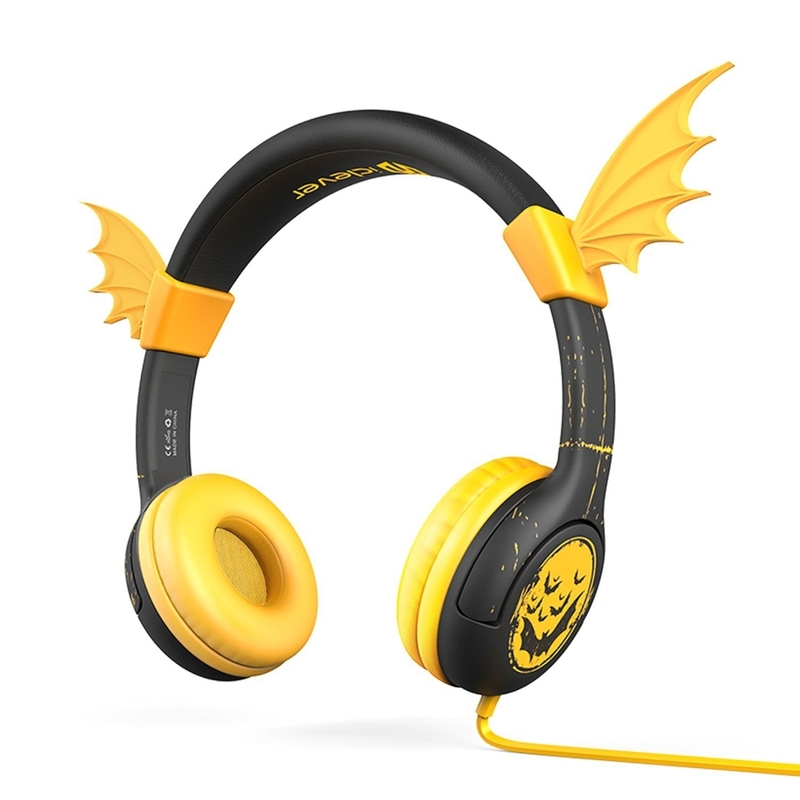 I’ve looked at other kid-friendly headphones before and these are by far the nicest looking of the bunch. 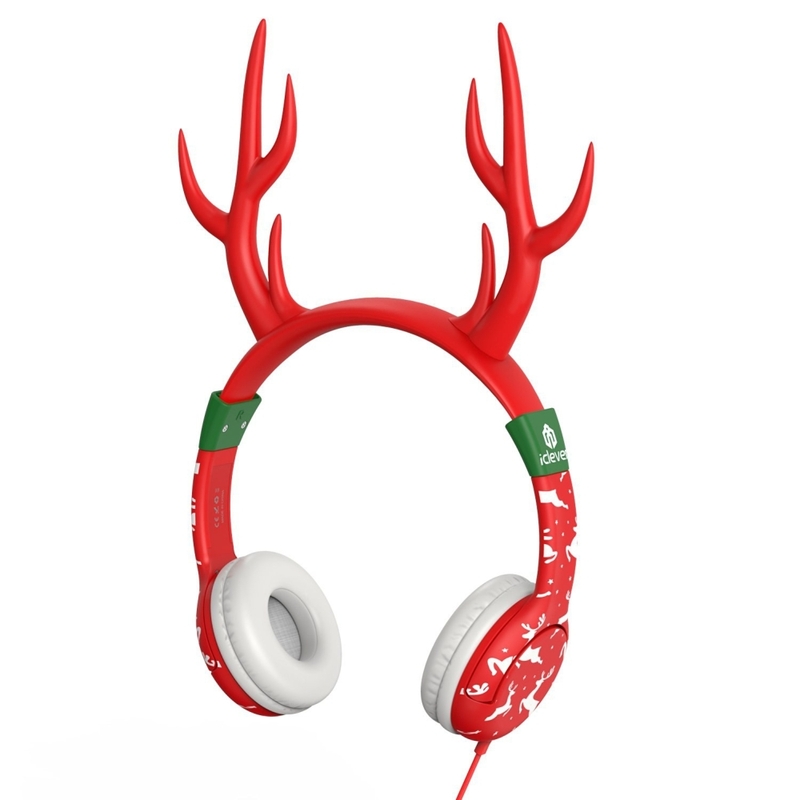 I like the fact that these don’t just look like regular old headphones and instead add a bit of fun to them. They also sound pretty good and are loud enough at a comfortable volume level. They are well made and should hold up to the active lives of children and are light weight so they’ll be easy to carry around. They are also quite flexible so you won’t have to worry too much about these breaking right away.